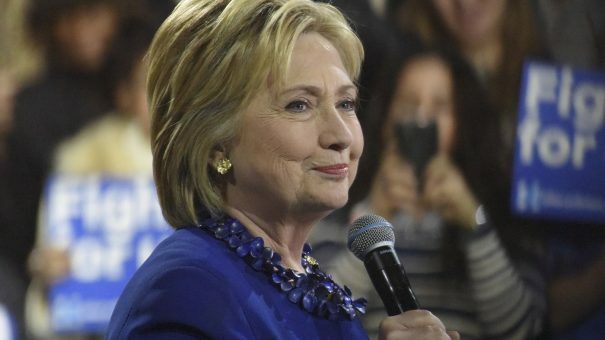 Hillary Clinton has criticised Mylan for “exorbitant” price rises for one of its medicines, and highlighted a plan to reform drug pricing should she become US president in November. In a Facebook post, Clinton went on the offensive over Mylan’s decision to increase the price of EpiPens, used to provide a shot of epinephrine in cases of anaphylactic shock. Clinton said Mylan had increased the price of EpiPens by more than 400% and is charging up to $600 for a two-pen set that must be replaced every 12-18 months. She said this was the latest “troubling example” of a pharma taking advantage of its consumers, following rows over price hiking by Valeant and Turing Pharmaceuticals. Clinton’s intervention is notable given that Mylan has close links to her Democratic party. Mylan’s CEO Heather Bresch is the daughter of Democrat senator Joe Manchin. In TV interviews Bresch said the “broken” healthcare system in the US was to blame for the price rises, adding it would make EpiPen more affordable to patients paying for it out-of-pocket, through savings cards worth $300. Clinton’s plan contains a number of measures including stopping subsidies for direct-to-consumer advertising subsidies, and using the proceeds to simplify and make permanent the R&D tax credit. She also wants health insurance plans to place a $250 limit on out-of-pocket drug costs, for patients with chronic or serious health conditions. Clinton also aims to boost competition by funding the US Food and Drug Administration to clear out a multi-year backlog of generic drug approvals. To encourage competition in biologics, Clinton proposes to lower an exclusivity period for these products from 12 to seven years. Another eye-catching policy is to demand higher rebates for prescription drugs funded by Medicare for older people. Under Clinton’s plan Medicare will be able to negotiate its own drug and biologic prices, with manufacturers rather than through a network of benefit managers. Republican presidential candidate Donald Trump has proposed letting Medicare, which pays senior citizens’ healthcare bills, negotiate prices with drug companies.